A Bay Area love story can only start in one place - a party in the Marina in San Francisco. Chris and Deanna Chalfant met exactly there in 2007, and thanks to mutual friends, they had a few more group excursions where they decided that the connection was one worth exploring further. Chris grew up in the south bay, Saratoga to be specific. Deanna is a born and raised Danvillian! For their first one on one date, Chris made his way across the bay from his San Francisco apartment, straight through the door of Danville’s own Norm’s Place. From that night on, the two were inseparable. A year later they decided to move in and officially start life together. After living in an apartment in the Presidio together, Chris and Deanna decided to trade the city for the suburbs. 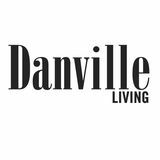 Deanna, having grown up in Danville, knew that it would be a great place for them to settle down. With their first home purchased, a trip to New York in December of 2011 resulted in a surprise proposal! Less than a year later the two wed on the beautiful Lake Tahoe beach of the Hyatt Resort in Incline Village, Nevada. Married life suited them well, and they moved to their next home in San Ramon and welcomed their first daughter, Madison, in 2012. In 2015 they were blessed with another daughter, Emma. That was when they decided to make their way back to Danville. This time, both Chris and Deanna knew that they wanted to focus on the West side, and in 2017 they found their dream home in a very familiar neighborhood. 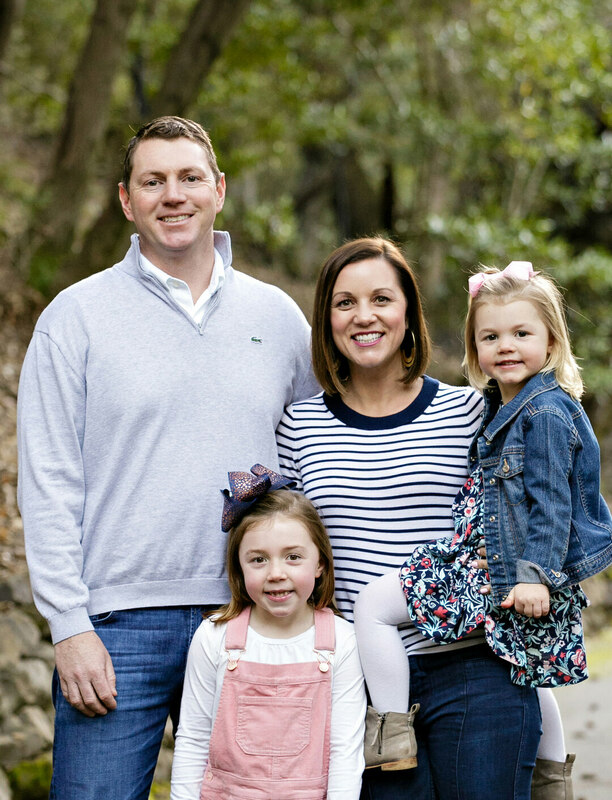 Finding such a thriving neighborhood means that the Chalfant’s two daughters can grow and play surrounded by friends and family. Madison is a kindergartner at Montair. She is very active and loves playing soccer with Mustangs. Deanna is equally passionate about the sport and serves as the Age Group Coordinator for Mustang Soccer. Little sister Emma attends Community Presbyterian Preschool - the same preschool that Deanna went to! She does gymnastics and swims with her big sister (Go Sea Lions!). Both girls love visiting their grandmother in Oakdale, where their beautiful Shetland pony, Suzie, lives. They take private riding lessons when they visit sweet Suzie. Along with Suzie, the family has a 1.5 year old golden retriever named Brady. Chris is a die-hard Giants fan. He doesn’t miss a game, and don’t worry, if you can’t remember when opening day is - just keep an eye on his front yard. As soon as that special day hits, the flag is out flying proud! Chris has been fortunate to be a Giants season ticket holder for 8 years now. He has passed his love of the sport onto his two daughters. 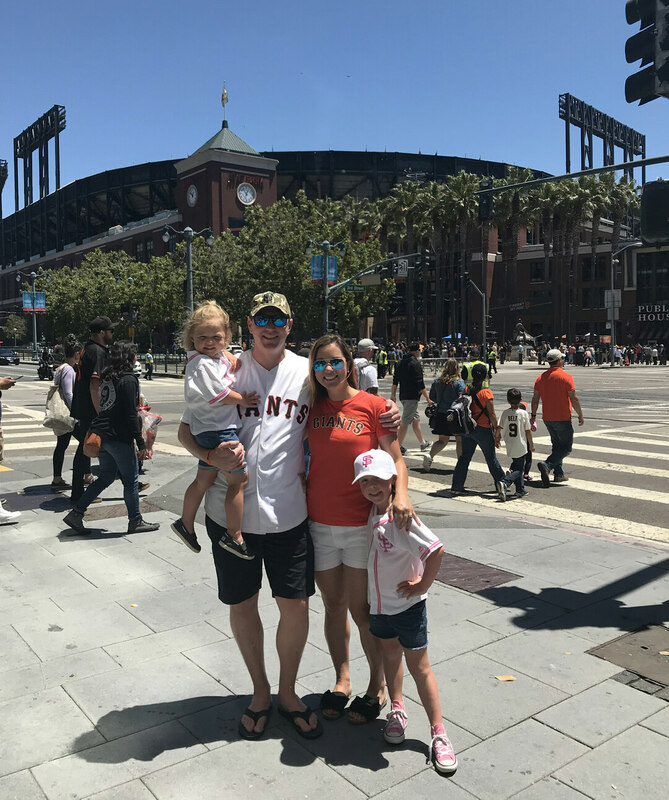 “There is truly nothing better than taking [the] girls to the “YARD” to watch a day game.” While the girls cherish every moment watching baseball with their dad, Deanna would likely rather be doing something else. The family still enjoys going to Tahoe to ski, working in their yard, and shooting hoops on their sports court. Interestingly enough, both Chris and Deanna joined their current companies straight out of college. Chris is the Northwest Regional Sales Manager for Stanley Black and Decker (DeWalt). He graduated from Arizona State University in 2004 with a bachelor’s degree in business. Deanna attended the University of California Santa Barbara and graduated in 2005 with a bachelor’s degree in Sociology. She is now a Vice President of Development for Essex Property Trust. They are equally proud of each other for turning their first jobs out of college into long-standing, successful careers. Between jobs, sports, and two energetic young ladies, the Chalfants have very full plates. Each night at dinner, the family prays and talks about all the wonderful things that they have going on in life. They talk about “how grateful they are for their health and all of life’s abundance.” A key focus in their family’s values is hard work and being grateful. “Life is short, so treat every day as a gift. 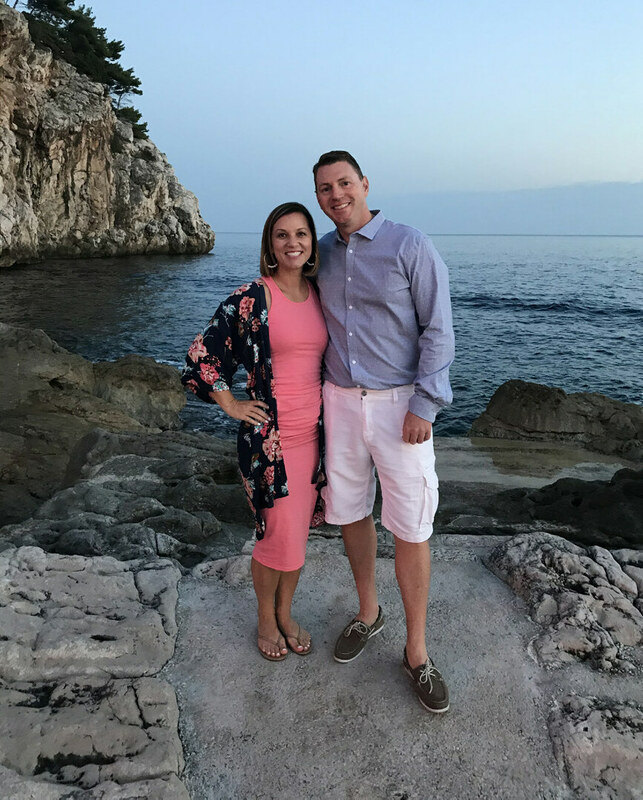 Be grateful for the gifts that God gives us.” Whether it’s traveling to Croatia for a mom and dad getaway, a fun family trip to Disney World, or around their own wonderful neighborhood, the Chalfants live each day in Love.